« Creepy Crawly Concerts Coming! These six students collectively attended a total of 64 years at SAW! We are proud of their high school accomplishments and excited about what lays in store for them. Some of their String Academy highlights included Violin Virtuosi trips and performances at Peabody Conservatory in Baltimore and at Northwestern University for Violin Pedagogy weekends(2014 and 2011), the SAW 20th Anniversary Gala in 2010, the 2009 Cellisti cello trip/performances in Miami, Florida (Florida Cello club conference) , SAW Summer Chamber Music Festivals, and the many, many performances given over the years at String Academy and throughout the Greater Milwaukee area. Please read below about these six graduates and what they are doing now. Julia studied violin at SAW for 10 years. She is attending the Rhode Island School of Design this Fall. A fond memory at the String Academy includes playing in the Mitchell Park Conservatory under the domes during the Chamber Music Festival. 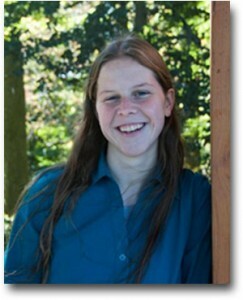 Julia graduated from Pius XI High School in the top 6% of her class and was a four year Honor Roll student. She took 7 AP classes including 3 in Art and had a cumulative GPA of 4.3 She was a member of National Honor Society, Polish Club, Art Club, and served as a school ambassador. 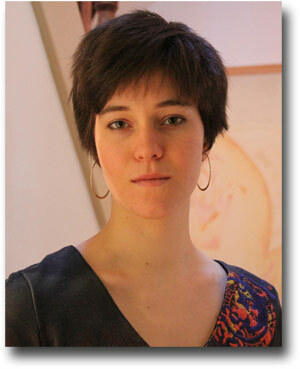 Julia held a Discovery World Design Futurist Internship since 2013 and participated in the RISD Pre-college Program in painting (Summer 2013). Her Art achievements included the 2014 National Young Arts Visual Arts Winner – Merit Award and attended the YoungArts LA Program in California. In Scholastic Art Awards, she received 2 Regional Gold Key Portfolios, 1 Regional Gold Key Individual, and 1 National Silver Medal Individual. And Julia was the 2014 1st Place winner in Visual Arts for the Art Institute of Cleveland’s 2D/3D competition. She went on mission work trips for various organizations such as Habitat for Humanity and Animal Rescue in Costa Rica. Julia won first place in the Concurso Oral Spanish Competition and was a member of the Pius Cross Country and Track teams. Katie was 2014 valedictorian at Rufus King High School. She is now attending the United States Naval Academy, Annapolis, MD. Katie studied cello at the String Academy starting in 2003. “My fondest memories are most certainly associated with I Cellisti. I recall being nervous to join this elite group at a young age- I was only in 5th or 6th grade and looked up to many of the high school cello students in the group. I will remember the trip to Miami Florida- the masterclasses, the concerts, and of course, the snorkeling. I will remember Cellisti feverishly practicing up until the very last moment before each concert. I will remember the friendships formed in Cellisti. Lastly, I will remember, and be thankful for the valuable instruction I have received at the String Academy”. Katie was a winner in the String Academy’s cello competition and soloed with the SAW chamber orchestra. Last fall, she presented a full senior recital. She also participated in the Summer Chamber Music Festivals and played in various guest masterclasses throughout her years at SAW. At Rufus King, she served as principal cellist in the orchestra and received 4 exemplary soloist awards at WSMA. She was a featured performer at the WI state music convention. In high school, Katie was a member of National Honor Society, in addition to the Spanish and Science National Honors Societies, and Mathletes. She also played varsity Softball (4 years) and received All-conference selection (4 years), All-district selection (2 years), and was selected for the WSFCA all-star game. Bertrand is a student at the Massachusetts Institute of Technology with Mathematics as his likely major. He was a violin student at the String Academy for 13 years. Bertrand received Honorable Mentions in the Milwaukee Symphony Orchestra’s Young Artist competition (2012, 2013, 2014) and was winner of the 2012 String Academy of Wisconsin Violin competition. As a Violin Virtuosi member, he traveled to Baltimore, MD last April and performed with the group at the John Hopkins Violin Pedagogy Weekend. Bertrand also was a soloist in the Masterclass Series that was presented at the Peabody Conservatory. He performed in SAW’s summer Chamber Music Festivals and numerous Violin Teacher Workshop recitals. 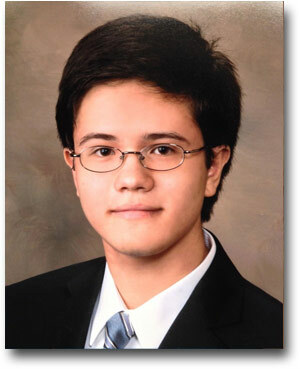 Bertrand was a 2014 National Merit Scholar, as well as a Finalist in the Intel ISEF in 2012, 2013, and 2014. He also won Honorable Mention in the AMS Karl Menger Award; and was the only Wisconsin student to be a semifinalist in both the 2013-14 Siemens competition and the 2014 Intel Science Talent Search. Bertrand was one of 83 participants worldwide to attend the 30th annual Research Science Institute (RSI) at MIT in 2013. Bertrand also has been a volunteer at the Columbia/St. Mary Cancer Center playing violin music for patients of the Chemotherapy Center. 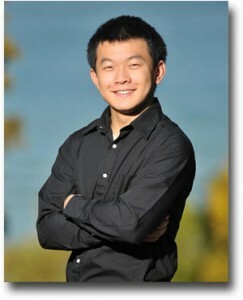 Wentong attended the 2012 National Symphony Summer Music Institute in Washington, DC on full fellowship and served as 3rd Chair, First Violin, in the Orchestra. He served as Concertmaster for three Orchestras: Wisconsin State Honors Orchestra (2013-14), Milwaukee Youth Symphony Orchestra, Senior Symphony (2013-14); and Whitefish Bay High School Orchestra (2012-14). Wentong won many awards in music competitions, including the winner of the UWM Young Artist Competition, a winner of both levels of the SAW violin competition, a semi-finalist in MSO Young Artist Competitions, and a semi-finalist in High School Showcase Competition. At SAW, Wentong performed in several guest masterclasses including for Gil Shaham. Wentong was one of 9 statewide Presidential Scholar semi-finalists in 2014. He scored a perfect 36 on the ACT. Wentong was one of the two students in Wisconsin who qualified for United States of America Mathematical Olympiad (USAMO) in 2014 and one of four semi-finalists in Siemens Competition from Wisconsin in 2013. In tennis, Wentong ranked No. 1 in Wisconsin for Boys 14 by the United States Tennis Association (USTA). Allen Kang is attending the University of Illinois at Urbana-Champaign. His interests include mathematics and science. He was a cello student at the String Academy for six years. As a member of the Cellisti ensemble, he performed throughout Milwaukee. 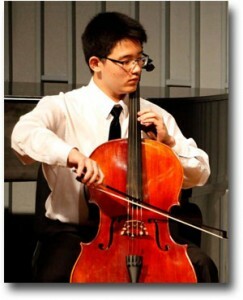 Allen was a winner of SAW’s 2014 cello competition and soloed on the school’s Scholarship Benefit Concert. He participated as a performer in the Summer Chamber Music Festivals and guest masterclasses throughout his SAW years. 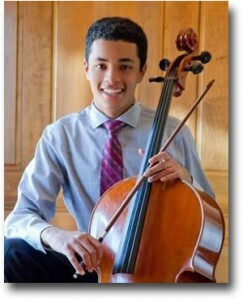 Last May, Allen was cello soloist with the Shorewood High School Orchestra. After graduating, Allen wrote, “Thank you for everything. SAW is wonderful”. Kartik Papatla is attending Harvard University this Fall with interests in engineering, mathematics and chemistry. He studied at the String Academy for 13 years and was a member of the Cellisti cello ensemble traveling to Florida in 2009. In 2013 and 2014, he was a member (assistant principal cello) of the National Youth Orchestra performing across the U. S. and Europe. During Kartik’s high school career, he won several concerto competitions including those of the Milwaukee Symphony Orchestra and Wisconsin Chamber Orchestra in addition to SAW cello competitions, soloing with the orchestras in 2012. He won the WI division of the 2011 ASTA solo competition and also received Honorable Mentions with the Madison Symphony Orchestra, UWM Young Artists, and MYSO Senior Symphony competitions. Kartik performed in Helsinki and Russia with his high school orchestra and served in principal roles in MYSO, traveling with Senior Symphony to Vienna and Prague. He was also a part of the Homestead High School Forensics team.